MANILA, Philippines — Quezon City Vice Mayor Joy Belmonte yesterday expressed alarm over the recent spate of fires in the city, including those that resulted in the deaths of minors. “I was alarmed that we are recording consecutive cases of fire incidents in our city, mostly in slum areas where some of the poorest families reside. The usual cause is faulty wiring and of course, their houses are made of light materials,” she said. “We are trying to provide the necessary assistance they need, and we are also coordinating with their barangay leaders so we can know if there’s anything we can still give them,” she added. Belmonte on Sunday personally distributed relief packs to over 200 families affected by a fire in Barangay Bagong Pag-asa the day before. 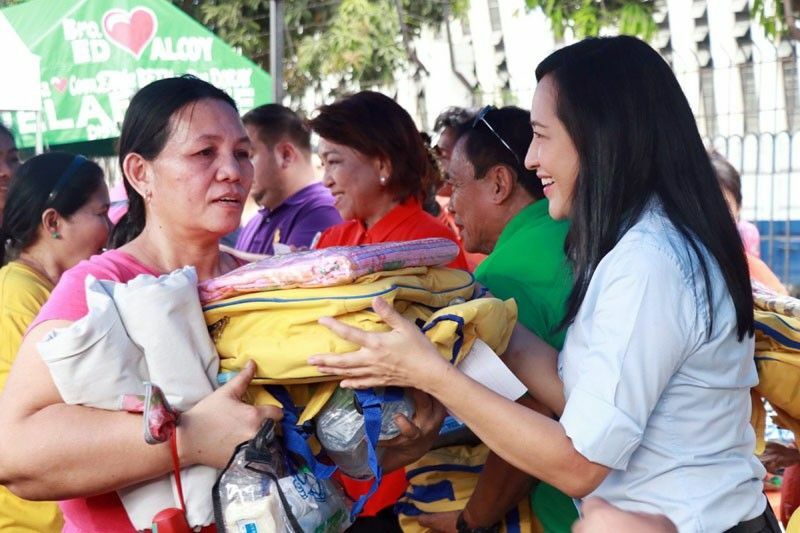 Her office also sent relief packs to the victims of the fire that left a four-year-old boy dead in Barangay North Fairview on Sunday night. Belmonte reiterated her plan to conduct a massive information caravan on fire prevention. “We do not want to offer a band-aid solution. That’s why we will need to constantly remind them to be mindful of their electrical connections and to implement simple practices at home to avoid fire hazards,” she said. Two fires recorded in the city last month left a seven-year-old boy dead and nearly 250 families homeless.